The rush of new sign-ups for Mists of Pandaria was a blip; World of Warcraft player numbers are now at their lowest point since 2006. Even with the release of Warlords of Draenor on the horizon, Blizzard don’t expect subscriptions of the world’s biggest subscription MMO to grow again, ever. WoW lead designer Tom Chilton told us why. 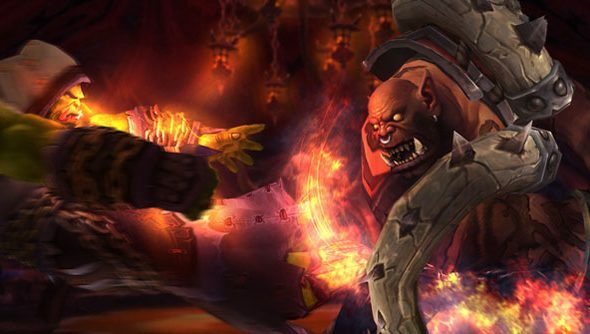 Chilton told PCGamesN that WoW’s subscription trajectory was a “really complex question” to answer. “Frankly a lot of it comes from the number of new players coming into the game going down over time and the conversion rate going down over time,” he said. When WoW was first released in 2004, its conversion rate was “massive”: people who tried the MMO tended to stick with it and become long-term subscribers. That’s no longer the case. A decade later, Blizzard have reached a point where the vast majority of PC gamers with an interest in MMOs have already been there and got the armour sets. “So many people who are likely to like a game like WoW have tried it, played it, spent many years on it,” said Chilton. Blizzard have found that the new players coming into WoW now are often unschooled in conventional control schemes: they have never used WASD before, or are new to mouse-look. “So a lot of the things WoW assumes about learning to play the game, a game of this type, are much more difficult for people coming in now to really kind of pick up and learn,” said Chilton. Do you fall into that first category? The PC gamer who’s spent more than enough time with WoW already?